Enchanted and cool is this lush plot of land located within the Mahogany Woods of Sion Hill, St. James. Lot 6 is a corner lot measuring in excess of 26,000 sq.ft. The main Sion Road travels towards the South of the property while towards the West there is a marl access road. There are two homes already established in the area, one West of the lot and the other North where there is also an open field. Located a mere 12 minute drive to Sunset Crest and its many amenities including Doctors’ Offices, Banks, Restaurants and shopping the beautiful wooded area with Mahogany Trees is sure to please –imagine your quiet country home and being at one with nature. Bliss. Enchanted and cool is this lush plot of land located within the Mahogany Woods of Sion Hill, St. James. 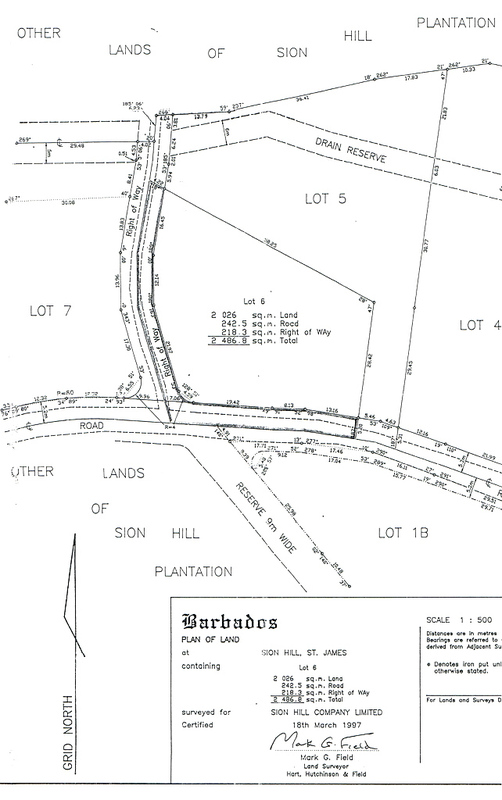 Lot 6 is a corner lot measuring in excess of 26,000 sq.ft.